Later this month, economist Dawie Roodt, trend analyst Dion Chang and commerce expert Lynette Ntuli will share their insights at the South African Council of Shopping Centres’ (SACSC) networking breakfasts in KwaZulu-Natal, Gauteng and Western Cape respectively. These events, hosted throughout the year, create invaluable platforms for members and non-members of the SACSC to exchange ideas, to gain insights into the retail and shopping centre industry and to network with industry peers. Amanda Stops, Chief Executive Officer for the SACSC said that these events have grown in support over the years. “Our networking breakfasts provide a platform for industry peers to interact and learn from each other. Our guest speakers also share their insights into the dynamics of the retail and shopping centre industry. We look forward to seeing you there,” she said. Speaking at the KwaZulu-Natal SACSC breakfast on Thursday, 23 August 2018, acclaimed economist Dawie Roodt will share his insights on the local and global economic landscape. Roodt, Chief Economist at the Efficient Group, Ltd. is renowned for his insights streaming from over two decades of economic and political analysis experience. Sure, the SA government is going through a rough patch-we have a government that is focused on defunct ideologies and appears to be hell-bent on undermining the economy. Yet, if we take a step back and view the bigger picture, it becomes clear that humanity has made amazing progress,” he said. Dawie’s talk will cover the economic highlights of the past few decades and how we are on the brink of eradicating extreme poverty. He will take a closer look at our political ‘mess’ and the impact it has on the economy. At the Gauteng SACSC breakfast on Thursday, 30 August 2018, seasoned trend analyst, editor and master innovator Dion Chang will be the guest speaker. Dion has been at the forefront of trends and innovations not only in South Africa but globally. According to him, if retailers and brands don’t find themselves among the ones that have evolved, adapted and elevated themselves into the technological spheres and the booming eCommerce realm, they may find themselves on the back foot. “The retail industry is under threat. Big name, long-established stores are closing shop. Although SA is building malls at a record pace, the retail apocalypse has begun and the casualty count is mounting. However, with a radical shift in thinking away from the old way of doing retail, new possibilities are emerging. Destruction needs disruption which will, ultimately, lead to resurrection,” he said. In his talk, Dion will explore pointers and directions for the retail road ahead. Lynette Ntuli founding director and Chief Executive Officer of Innate Investment Solutions will share her insights at the Western Cape SACSC breakfast, taking place on 22 August 2018. 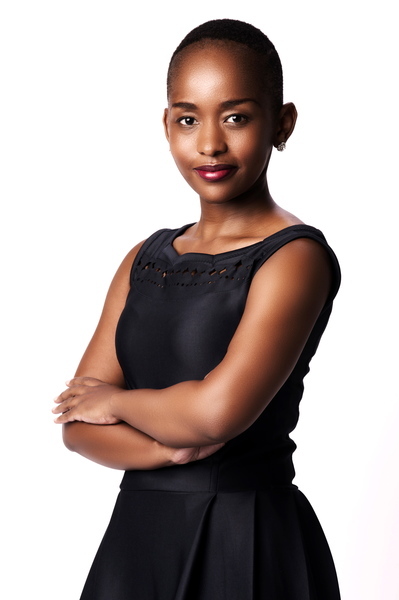 A commerce graduate, Lynette has previously held positions at Deloitte, Motseng Marriott Corporate Property, Motseng Property Services and the Durban Business Enhancement Initiative in various senior leadership roles in the commercial and retail property sector and in the business development and investment promotion arena. She will provide an insightful look into how Smart Retail Estate, Prop Tech and Fin Tech are already impacting on your operations, customers, revenue and capacity. “The talk will take a deep dive into how spatial needs are changing and how property across asset classes from retail to industrial to residential will need to evolve or dissolve to meet the changing needs of the market and its end users,” she said.